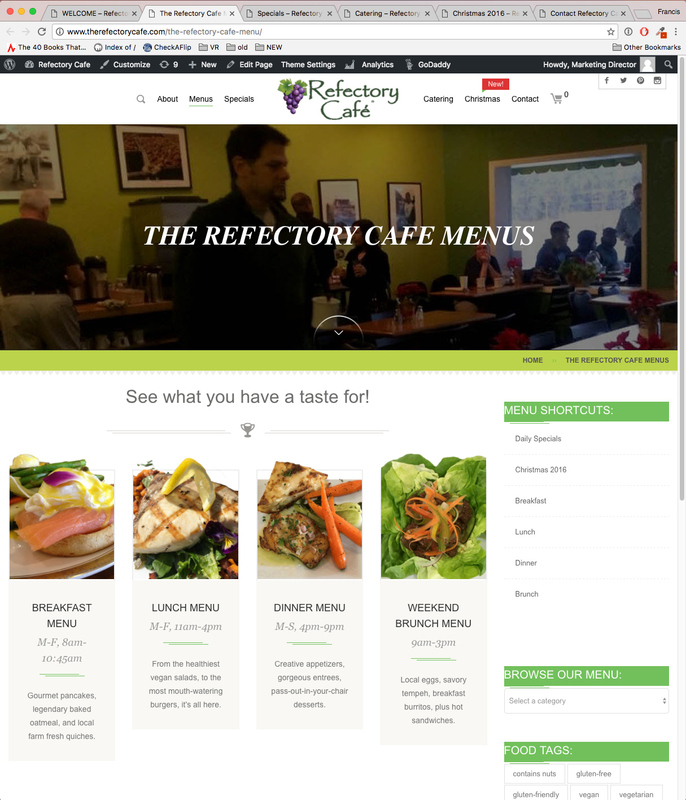 The Refectory Cafe needed a better system for online ordering and pickup. Their existing setup was handled by a large national company, which charged a large fee every month, and required a separate iPhone app. Have an Android phone, or sitting in front of your computer? You’re out of luck. 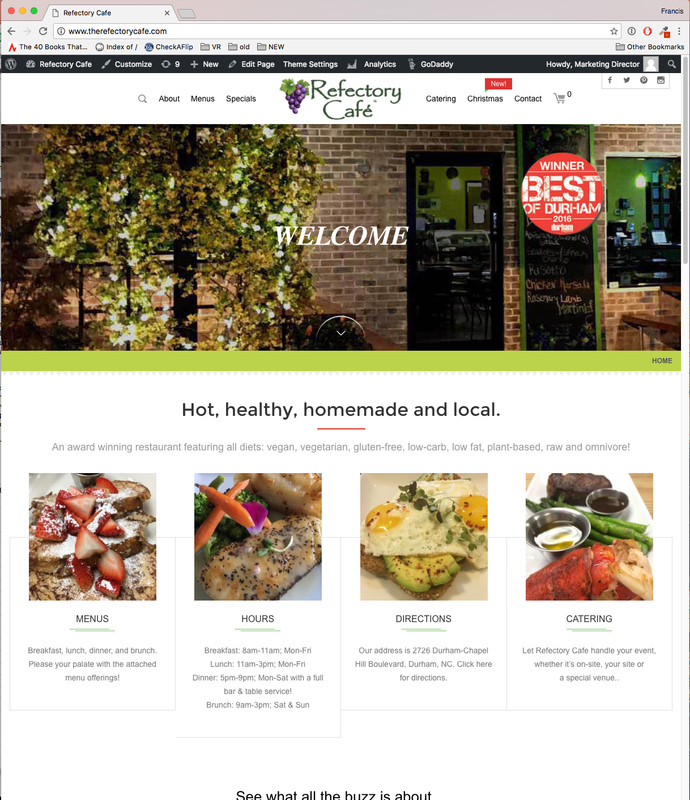 In addition, their existing website was static, and didn’t reflect the restaurant’s active involvement with their audience on social media. The resulting WordPress site works on all browsers and platforms. Users ordering food online can log-in with their Google, Facebook and Twitter accounts for faster checkout. In addition, all Instagram photos posted by the Cafe feed into the home page, for a dynamic, not to mention mouth-watering site!